Solo Artist Lorianne Barclay rehearsing Fall in Four Seasons of the Soul. A. Four Seasons of the Soul is a beautiful telling of the seasons of life communicated through classical ballet at its finest. A. I dance the youthful lively soloist in Spring and then come back to dance one of the three more mature partnering couples (pas de six) in Fall. A. Overall the intent of Four Seasons has remained consistent from the original rendition danced in Ballet 5:8’s third and fourth performing seasons. It has been interesting seeing fresh choreography mixed with old staples. Two major changes include adding men and using two of Vivaldi’s songs we were not able to use last time. For those who are familiar with the previous rendition, I think they will connect with the nostalgia of this audience favorite and yet be kept on the edge of their seats through exciting additions. A. Four Seasons takes classical ballet steps and puts them in a context that’s relatable to our 21st century audience. Having danced this ballet previously, I knew the challenges presented in both technical feats and stamina. Not only do we have to be very precise, but also need to be able to run a half marathon while doing it! A. 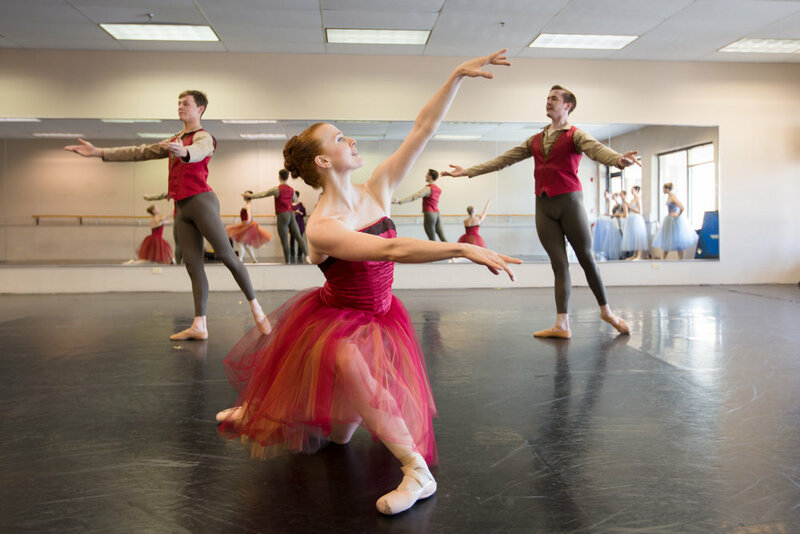 Nothing says classical ballet quite like pointe shoes, tights and tutus. I enjoy the classicism of the ballet while telling a story we all relate to: the seasons we go through build and shape us in life. And yet, in the end, all those seasons can build toward the hope set outside this world. A. I would encourage audiences to see Four Seasons of the Soul because it gives you a visual “big picture” of our own life in a tangible way. All the highs and lows we experience on a day to day basis paint a kaleidoscope of beauty. We can take hope that every trial is not in vain when we press on with eyes fixed on the hope of glory bought for us by Jesus Christ.